If I may, I’ll give you a bit of background first, which I hope will help you come to an informed decision. Is it YOU who does the training, or do you just hire in help? 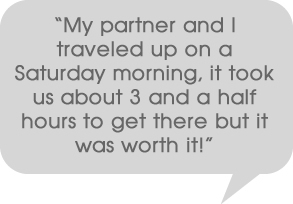 How long have YOU been tinting for? What experience do YOU have in setting up tint businesses other than your own? What ongoing support can they provide? 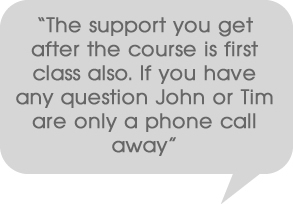 How many, if any, testimonials can they provide, not just written but you should speak to someone who has done their course recently. Ask to see their web-sites and promotional leaflets, that will give you a fair idea how serious they are. I hope this will help you come to an informed decision, take your time and don’t be pressured or bullied into any ones courses. It’s your money, spend it wisely. What I’m trying to say is, we’ve worked hard, we’ve travelled, we’ve trained and we’ve gathered years and years of experience before even attempting what we do now. We’ve been there, we’ve seen it, we've done it. Over and over again, which I consider gives us the authority and more importantly, the experience to help YOU. I’m in no way the best tinter out there, there are some truly brilliant guys, but what I am is consistently good. How some of these people who set up tint training businesses after only being in the industry probably less than 2 years, and only ever setting themselves up, they just see it as an easy, quick earner. The chap who started Train-to-Tint (Ex Ultimate Tinting Cannock) couldn’t even tint himself!!! I see one of my former pupils, David, who started out in the middle of 2006 seems to have done very well. He is giving the training a go now too. 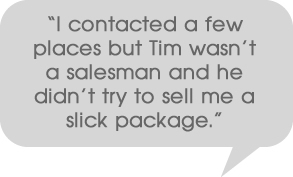 His testimonial in my “testimonials” page makes interesting reading. Good luck to you David. Also you’ll probably have seen by now that the several other players in this tint training business have web-sites and content suspiciously like my site. Look, I don’t mind genuine competition at all, but what does bug me is where people can just see pound signs in front of their eyes, think it’s easy. Then there are the ones that blatantly plagiarise my ideas and sections from my site, David, & Billson. There’s nothing I can do to stop them but I want you to realise what is happening. ANYWAY, I don’t really regret getting involved with franchise people for a minute, life is full of challenges and opportunities and I learnt an awful lot over those few years, basically how not to do it and because now I no longer have a contract with these people I can do it all myself, properly. I use none of their material, as in reality it was totally useless, "put balloons on your A board" was their best marketing ploy, cheers Martin! Money well spent there! I use all the materials and systems that I have developed myself over the last few years. We’ve got some great guys working with Ultimate Tinting now and our chap Richard in Nottingham should be the role model everyone moulds themselves on. This guy is a trier, always looking for work opportunities; he just sticks at it, knuckles down and gets on with it. An inspiration to us all. He’ll say it’s quiet but he always seems to have work booked in. Good on you Richard, keep it up. Duncan, who has my old Manchester business and trades as "Solar Guard Tinting" has done so well he now has an installer concentrating on cars while he concentrates on Flat Glass. At the moment he’s half way through a £40k office job in Manchester, a nice couple of months work there. Well done Duncan, just goes to show what you can achieve if you set your mind to it. Not everyone is cut out to do this business. Over and above everything else you need to be a sales person and a good communicator. That’s the part we can’t teach. We can teach anyone to tint as we’ve shown over the years and help them set up in business but without the ability to sell yourself and communicate well with the customers your doomed to failure. Unlike others out there I don’t teach just anyone. I have turned people away before now who wanted training and people who wanted to buy a franchise because I didn’t think they were suitable. I’m not just totally interested in the money, I’m more interested in building up a national chain of professional tinters and lifting the industry out of the "pimps and drug dealers" image it still seems to have. There are some very very wealthy tinting people and companies out there, so think hard and be honest with yourself, and if you think you can do it, brilliant, call me now on 07919891011, my phones usually on till about 8pm. Just do it! This brings me onto the options you now have. I have created these various options because over the last few years I’ve dealt with people with a range of budgets and at all different levels of experience in working for themselves. We have the guys who are already self employed and want an extra business to tack onto their own successful business. Then we have the complete opposite end where someone has been employed for the last 20 years and just been made redundant and want to work for themselves now. Then there are the guys who just want to do it as a hobby, and the guys who want a complete "life change" and it’s my job to help them/you. To give you an idea who have joined the industry, amongst others, I’ve taught:- RAF winchman, computer programmers, students, lots of valetors, deputy headmasters, musicians, (1 ex Eurovision, 1 ex chart topping), taxi drivers, builders, bouncers, loads of windscreen fitters, ICE installers, pensioners, retired people, policemen, soldiers, ex forces and glaziers, to name but a few…. Without fail the most common question everyone asks is "how do I get work?". I could spend a whole day on this subject alone , and do for the franchisees. The most cost effective way is the website which is where my "OPTION 2" comes in, then there’s the placing or optimisation of the web-site which is where "OPTION 3" comes in . Hopefully there is an option to suit everybody who wants to get involved in the industry. Over the last 15 years I’ve developed an exceptionally informative, class leading web-site and range of marketing materials which I’m now able to offer you. 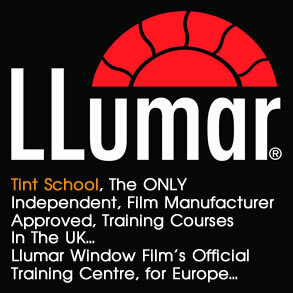 From just learn to tint courses, up to full on franchise type business, hopefully with all the benefits and none of the pitfalls, I’d like to think I’ve covered all options but don’t hesitate to call if you think there is something different I can help you with. This won't be available to everyone because if we already have someone being promoted in your area, we can't and won't promote 2 people in the same location. Also it is NOT available to our group trainees, only our 1-2-1's. As above, you set up your business, you trade under your own name BUT use our website in your marketing material with your own listing on the ULTIMATE TINTING website (so you don’t have to go to the trouble and expense of sorting out a web-site). The Ultimate Tinting site receives between 10-15,000 hits a month, if you don’t believe me, I’ll show you when you come). A decent web-site can cost you easily in excess of £4000+ and remember, your web-site is your shop window, you only get one chance to make a first impression. So use ours, IT WORKS!!! We could easily have the poshest, flashest website going, and I used to, but it DOESN’T WORK, it actually puts people off. You need a tidy, easy to navigate around site with plenty of info, but not too much, plenty of pictures, but not those stupid "change the shade of your glass on the side of a this Mercedes" type of thing. You need REAL CARS, we have almost 4000 different cars on our gallery, which happens to make it probably the largest tinting gallery anywhere!! In my last meeting I got 12 of the guys there, who were on my web-site to fill out a questionnaire as I wanted FACTS, not speculation as to how good our site is at generating you an income. I know it works but I need to be able to PROVE to you that it does. The figures below are taken from that survey, I haven’t doctored them, I haven’t taken any poor feed back out and I have them all in a file at my unit for you to see………. One question was: Out of 10, how helpful is the Ultimate Tinting site and being part of the UK’s largest tinting network, in generating work for you. ANSWER, 11 of the 12 people said 10/10 only 1 person said 8/10 and that was Ian, cheers mate, mind you he does live in SPAIN now. So hopefully you can see our site works. FACT. What is interesting is the difference between the amount of jobs done verses the amount of enquiries, people are only getting about 25% of the work they quote for. Just imagine if you could sell yourself better, the money it would be possible to make! Please remember it’s my job to get you the enquiries, not to get you the work, that’s your job. Just so you know my conversion ratio is about 80% of my enquiries. The longer you do this, the better you’ll get at it. I’m also pretty certain that £1827 is a very conservative estimate, but that’s the figure I can prove..
Just as an aside, looking at these figures now, our site, if you average these figures between everyone generates almost £750,000 a year!!! WOW !!! Fancy a piece of this??? However there’s no point having the top website if you can’t find it. You’ll be hard pushed NOT to find ours. Don’t believe me? Just put "window tinting" into Google and you’ll see we’re at the top, but importantly we’re not paying to be there, we’re not in sponsored links there, we’re up there on merit, because we have the most hits, we have no negative feed back we’re constantly updating our site. 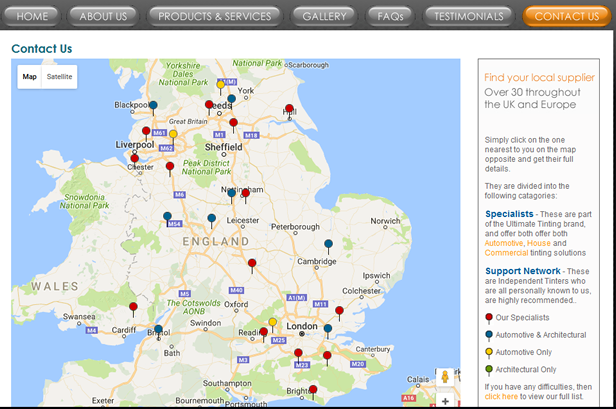 Local marketing is slightly different, this is where I get you to the top of the searches IN YOUR AREA. For this I do use sponsored links which costs money, but I can do it for a fraction that you would be able to (because we have such a popular site, and because I’ve been on Google for years). So in this option I’ll also do your web marketing/optimisation for you. 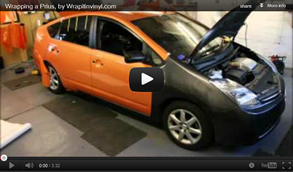 I’ll get the Ultimate Tinting site to the top of the first page of Google in your chosen area, if people do a search for window tinting in your area, our site will pop up top and there you’ll be, listed on it as their nearest tinting business. If you go to a company to do this for you, I’ve known people who’ve paid in excess of £1000 A MONTH for this service, and they still don’t come near the top. I can do all this for you for a fraction of that. The yearly cost of this to you will be about the same as the profit from a medium sized conservatory job, A YEAR !!!!!! Or the profit from one decent car job per month. But that’s not all, now you get your very own page on the Ultimate Tinting site, your own gallery, your own testimonials page, you get an "about us" section on the first page and a picture, perhaps of your unit. You’ll get your own map and your own contact us page where people can email you. This bit is very clever but I’m not going into details here (the competition, you understand!) You can upload your own pictures and testimonials in your own "Administration" section, and it’s here that you get live statistics of the amount of hits, e-mails and a few other bits your own page has received. So, all the work is done for you. It’s taken years to develop and get right, but we launched it mid 2009 and it’s working a treat, but don’t take my word for it, look at the testimonials below. PRICE? Call for details, but once I have the first 20 paying members on board, it’s going up! But even so it will still be exceptionally good value, cost no more than 1 average car A MONTH, and still pay for itself MANY MANY times over. This option is ONLY open to people I’ve trained, I now get about 2-3 companies a month wanting to join our network, but they’re all declined. "I had 6 jobs from your site last week mate"
"I had 7 calls just on Saturday all got our number from the web"
Our option 3 is our full franchise option, but don't be put off by the word 'franchise' because of our previous franchise experience we know what our customers want! This is such an interesting business to be in, everyday is different and you get to see some wonderful and interesting things. For more information on any of the above , just call me for a chat or even come and visit me which would be better. As I’ve said before all my testimonials are up to date and TRUE!!! Please do speak to some of the guys who’ve done my courses, for your own piece of mind.